Lying prostrate in front of Pablo Picasso’s Guernica in Madrid’s Museo Reina Sofia, Spanish flamenco legend Enrique Morente decided that Picasso’s images exploring the tragedy of war had to be shared through song. Inspired by Picasso’s images and poetry, Morente used the powerful rhythms of Spanish flamenco to give voice to the idea that art, music, poetry and dance can help build a more peaceful civil society. 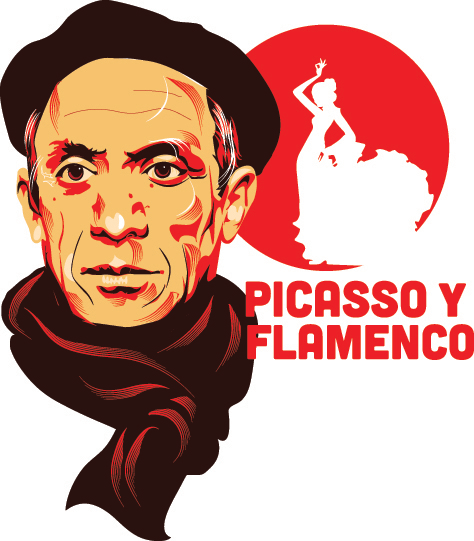 This summer, allow the power of flamenco and the passion of Picasso to guide your exploration of Spain from north to south. Understand the connection between artistic expression, human rights and national identity. You and your Corps group hit the ground running in Madrid. Explore royal neighborhoods, taste small plates of tapas in La Lina, practice your Spanish with locals in Retiro Park and learn how to read Picasso’s masterpiece Guernica, an iconic painting depicting the horrors of war and genocide. Train south to Jerez to study flamenco and become immersed in the song, dance and rhythms of Spain. Learn from trained musicians, attend concerts, visit Mediterranean beaches and take in the architectural treasures around every street corner as you become a flamenco artist and aficionado. Then become part of the family. Prepare homemade paella, go to the beach with your hosts and practice your Spanish language skills everyday. Continue your exploration of arts and national identity in Sevilla and Granada. Walk the gardens of Sevilla’s Alcazar and the grand halls of the Plaza de España. Visit the Alhambra in Granada and see a flamenco show in an underground hall. At the end of your program, journey north to Barcelona to explore the amazing architecture of Gaudí, visit the Picasso museum and take in a final Spanish sunset over Olympic Harbor before returning home. Explore the halls and galleries of the Prado museum. Practice your Spanish language skills in Retiro Park. Learn about Picasso’s masterpiece Guernica from an art historian in the Reina Sofia. Taste tapas at cafes near the Royal Palace. Walk through Old Town and Puerta del Sol. Learn the art of flamenco. Work with dancers and musicians. Cook traditional paella with your host mother. Develop your Spanish language skills as you shop, go to movies and visit new friends. Get together with your Corps group and leader to visit sites around your new community. See the Alcazar, Plaza de España and the Barrio Santa Cruz in Seville. Walk through the gardens and halls of the Alhambra in Granada. Get lost in the winding streets of Granada’s historic Albayzin neighborhood. Attend flamenco and music shows. Explore art nouveau and the architecture of Gaudí. See the Sagrada Família, Park Güell and the Picasso Museum. Visit Fundació Joan Miró, one of the largest museums in the world. Sample Catalan and Basque cuisine. Walk and shop along La Rambla.